It's normal and understandable to feel skittish about investing. After all, investing in stocks comes with risk, and no one likes to lose money. Even when people tell you that investing is the path to wealth, it's easy to remember those years when the stock market crashed. The roller coaster ride during the first weeks of February raised some of those fears again. Here are a few nerve-calming take-aways from nearly 90 years of S&P 500 performance. We just had the ninth consecutive year of positive returns for the S&P 500. That may seem unusual, but it's really not. We had a nine-year winning streak from 1991 to 1999, an eight-year streak in the 1980s, and a six-year streak after World War II. Meanwhile, the longest streak of bad years is just four, and that happened during the Great Depression. There are only two other instances of a three-year losing streak, and just one since 1941. We all remember those instances when the stock market has taken a painful dive. In 2008, the S&P 500 dropped nearly 37 percent. It fell a whopping 44 percent back in 1931. Ouch. But those bad years don't look so bad when you consider that the stock market has shown that it can go up by a higher percentage. It went up 53 percent in 1954, and 43 percent just four years after that. We saw a 37 percent return in 1975 and a 32 percent jump in 2013. For every bad year of the S&P 500, you can find a year where things swung even further in a positive direction. Since 1928, there have been 24 years where the S&P 500 has reported a negative return. In 16 of those cases, the index rebounded with positive returns the following year. In other words, two thirds of the time, you can feel confident that the stock market will rebound after a bad year. In fact, the market will often follow a bad year with an increase that's higher than the previous years decline. What's the difference between a good return and a great one? For most people, anything above 10 percent in a year would be wonderful. And since 1928, that's happened a whopping 51 times. The S&P 500 has gone down just 24 times in a year during the same time period, and there are just 15 cases where the market has gone up less than 10 percent. In other words, the stock market has shown a tendency to not only to go up, but go up big. There's a reason why people suggest you examine the 10-year return on any investment. That's because it usually shows a positive overall return, even if there are down years during that period. Take all of the 10-year stretches of time since 1928. Now, try to find one in which the total return on the S&P 500 is negative. You'll have to work hard. An analysis of any 10-year span since 1928 shows a positive return on 88 percent of those decades. This statistic shows the value of patience in investing. There is no debating that big stock market drops can hurt, and it's usually hard to recover all of your losses in a single year. If you invest $1,000 and lose 20 percent, you're down to $800, and will need a 25 percent gain ($200) just to get back to where you were. That's tough. But the stock market historically doesn't make you wait too long before you're back in positive territory. 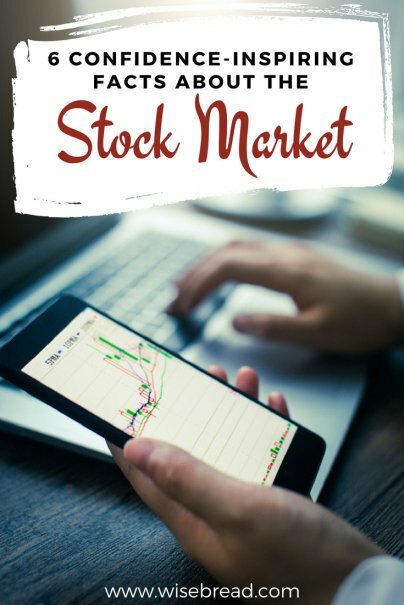 If you are among those that lost a lot of money when the market crashed in 2008, there's a good chance you got all your money back and more by 2012. If you experienced losses during the downturn from 2000 to 2002, you probably were back in action by 2006. And that's if you stopped contributing. If you continued to invest when the market was down, you probably got back in positive territory even sooner.